I am searching far and wide to find the right partner for a distillery in NC. What I bring to the table is a background in chemistry and pharmaceutical manufacturing and high business acumen. 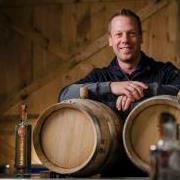 Preferrably I can find someone local that has been dieing to get a distillery going in the mountains of NC or elsewhere in the state. I am open to all parties and backgrounds. I want to make this happen so any and all interested should give me a shout. What part of nc are you looking at ? What is your timeline? Are you looking for working partner or Investment partner ? If you are interested, drop me an email. I'm in eastern NC. Hi all - I'm located in triangle area, been thinking about western part of state though for this. Looking for any partner, would entertain any discussion. Investment, working, whatever.. Interests:Family, travel, flip flops in the sand, taking the top off the Jeep, golf, baseball, hockey, blogging, vlogging, Youtubing. Email me at ben@lifeofreilley.net if you'd like. Our distillery was just acquired so I'm open to other opportunities now. We can set up a call to discuss further. Good Morning. I run our Craft Beverage Lending Group here in NC. If you need any assistance with funding please reach out to me at scott_birkner@ucbi.com or 704.564.5940. Cheers!